Through June 13 – “Bill W. and Dr. Bob” at the Trustus Theatre. Learn about the successful recovery of two professionals who became alcoholics and developed a program of recovery that would change the world of alcoholism. For more information call (803) 254-9732 or visit https://www.trustus.org/. Through June 24 – Summer Quilting Sampler at the Edisto Discovery Park. This is an introduction to quilting from an award winning quilter. For more information call (803) 545-3093 or visit http://columbiasc.net/parks-recreation. Through September 20 – “The Adventures of Mr. Potato Head” at the EdVenture Children’s Museum. Come enjoy an adventure in the world of Mr. Potato Head. For more information call (803) 779-3100 or visit http://www.edventure.org/. Through October 2 – “Blooming Butterflies” at the EdVenture Children’s Museum. Come learn about the lifecycle of a butterfly and see more than 20 varieties native to the southeast. For more information call (803) 779-3100 or visit http://www.edventure.org/. June 4 – “Larry’s Favorite Things”: A Fundraiser for Trustus Theatre at the Music Farm. Come experience some of Columbia’s best theatre and musical entertainment. For more information visit http://www.musicfarm.com/venues/music-farm-columbia/upcoming-shows/. June 5 – July 31 – Summer Movie Series at Riverfront Park. For more information call (803) 545-3100 or a listing of the movies to be shown visit http://columbiasc.net/. June 6 – Celestial Stars 15th Annual Revue at the Harbison Theatre on the Midlands Technical College Campus in Irmo. Come see what the Celestial Stars Academy student’s season premier. For more information call (803) 939-1129 or visit http://www.harbisontheatre.org/tickets-productions/celestial-stars-15th-annual-revue. June 6 – “Dante Lewis with Special Guest Kevin Walum” at Finlay Park. Come enjoy some jazz in the park to spark off the Finlay Park summer concert series. For more information call (803) 261-8340. 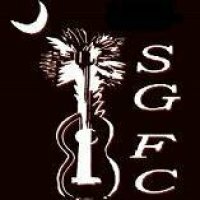 June 6 – 7 – Gun & Knife Show at the South Carolina State Fairgrounds. For more information call (770) 630-7296 or visit http://mkshows.com/. June 12 – 21 – “Br’er Rabbit” at the Columbia Children’s Theatre. Come enjoy this entertaining presentation for all ages. For more information call (803) 691-4548 or visit http://www.columbiachildrenstheatre.com/. June 12 – September 11 – “From Marilyn to Mao: Andy Warhol ‘s Famous Faces” at the Columbia Museum of Art. Come view works from one of Americas greatest 20th Century artists. For more information call (803) 799-2810 or visit http://www.columbiamuseum.org/. June 13 – Rhythm on the River presents Listen Local Artist Showcase at the West Columbia Riverwalk Amphitheatre. For more information visit http://rorsc.com/. 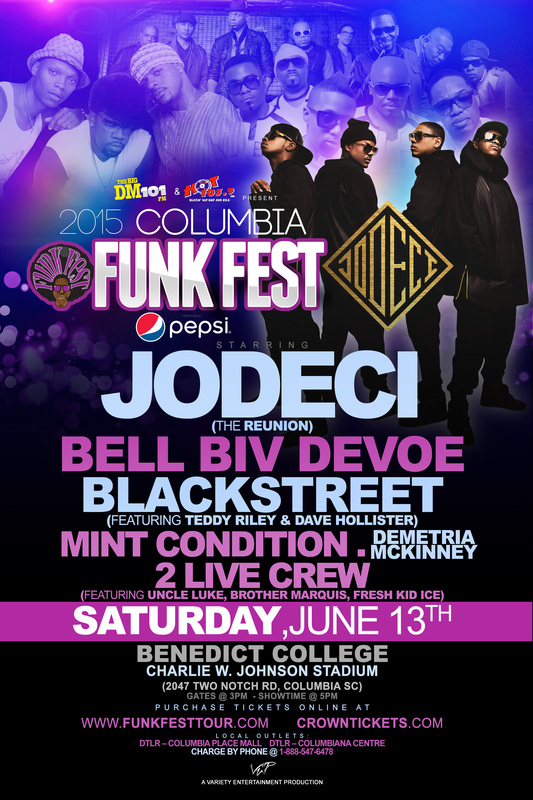 June 13 – FunkFest at the Charlie W. Johnson Stadium at Benedict College. Entertainers include Jodeci, Bell Biv Devoe and more. Not only will there be entertainment, but there will be educational information for youth on getting into the entertainment business. For more information visit http://funkfesttour.com/event/columbia-sc/. 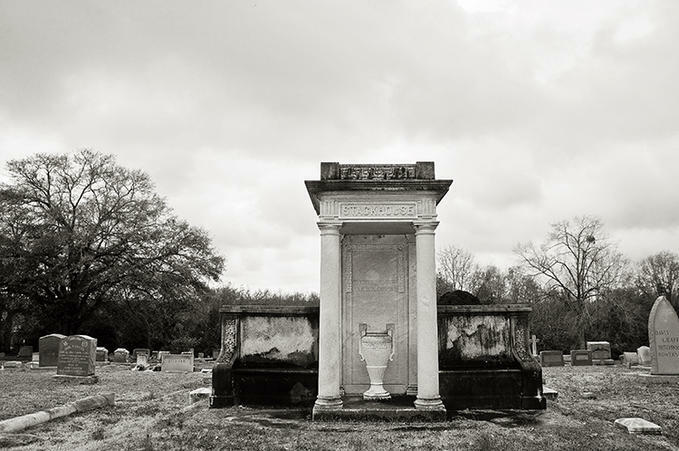 June 13 – 14 – Silver in the Garden at the South Carolina State Museum. Learn about the history of table-top floral themed pieces of silver, porcelain and china from an expert and bring your own pieces for her to assess. Refreshments will be provided. 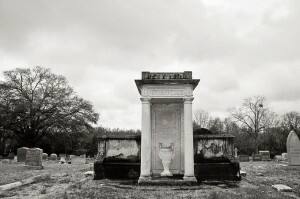 For more information call (803) 898-4921 or visit http://scmuseum.org/events/silver-in-the-garden/. June 13 – 14 – Upgrade Together to Offer Resources about Improving Communities to be held at Richland Northeast High School. The event will provide information about homeowner assistance, community revitalization and financial empowerment. For more information call (803) 929-6000 or visit http://www.rcgov.us/Portals/0/Departments/PublicInformationOffice/Upgrade%20Together%20Registration%20Form.pdf. June 14 – 21 – Southeastern Piano Festival at the USC School of Music and Koger Center for the Arts. There will be nightly concerts, an international piano competition, and chances for students to learn from professionals. For more information call (803) 777-4281 or visit http://sepf.music.sc.edu/. June 15 – 20 – Columbia Fashion Week at a variety of locations. Come experience the world of fashion. For more information call (803) 701-0172 or visit http://www.columbiafashionweek.com/. June 18 – Rotary Club of the Vista Night Garden Party at the Riverbanks Zoo and Botanical Gardens. There will be live music, good food and refreshments. Proceeds benefit The Therapy Place, Inc.. For more information visit http://www.vistanightrotary.com/. June 19 – Juneteenth Celebration at the Historic Harriett Barber House in Hopkins. Event is in celebration of the end of slavery and will include entertainment, food, and fun. For more information call (803) 261-5596 or visit http://www.sercosc.org/calendar-4/. June 19 – Happy Hour History at the Robert Mills House and Gardens. There will be entertainment, light hors d’oeuvres, and refreshments. For more information call (803) 252-1770 ext. 23 or visit http://www.historiccolumbia.org/events/happy-hour-history-robert-mills-house. June 20 – “The Palmetto Latin Orchestra” part of the summer concert series at Finlay Park. For more information call (803) 261-8340. June 23 – 27 – Miss South Carolina & Miss South Carolina Teen Pageants at the Township Auditorium. For more information call (843) 857-9173 or visit http://www.miss-sc.org/2015-pageant-information. 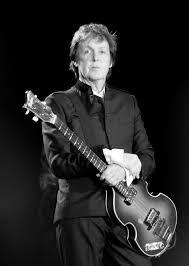 June 25 – “Paul McCartney of the Beatles” at the Colonial Life Arena. Come out and see this legendary artist in person. 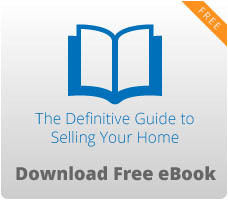 For more information call (803) 576-9200 or visit http://www.coloniallifearena.com/.